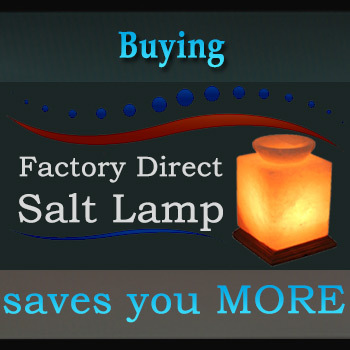 Passion for salt lamps is much equivalent to the promise we make! Can I be totally honest with you? I mean, how a business owner can express its passion for business? Because passion can’t be found in our head it lives in our heart. So from my deep heart, I am going to express my passion for salt lamps! The flames of passion are fanned by engagement, not only thought. Here’s what I mean: No matter how hard I am, I cannot show my passion for salt lamps business by only thinking about it, I need to take actions. And, that is the basic thing I do every day. I think more & more about how differently I can craft the salt rocks id. In the result, I have a bunch of new craft ideas. Then I stop thinking and prepare myself for actions. I proactively bring passion to everything I touch, to everything I do. No matter what task is in front of me, I bring as much enthusiasm and energy to it as I possibly can. I bring my full attention, my full presence, and full participation in my team, to every task in my day. 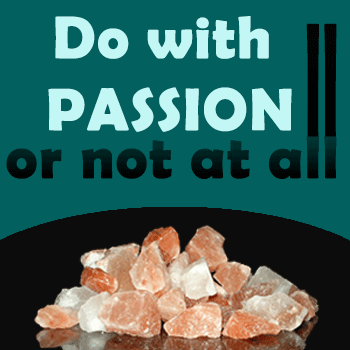 That is all my passion in salt lamps business. • Passion is one of the most effective motivators when it comes to launching a new business. • Passion is often one of the strongest predictors of whether an idea will lead to success. • When you believe in something, the force of your passion will spark your interest and motivate you in to help you achieve your goals. Second, after learning & digesting these lessons I needed to put them into actions. That was the time when I had to decide what to do next? So, I decided to step into the salt business. A question might be raised that why salt? Why not something else? Yes, I agreed with this valid question. 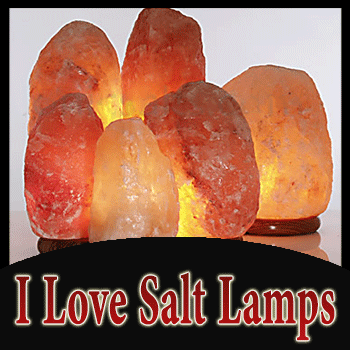 The simple but comprehensive answer is “I love salt lamps’ and love is the 2nd name of passion! Both names invented my term “passion in salt lamps”. So, the next step was to begin consistent passion based action each day. 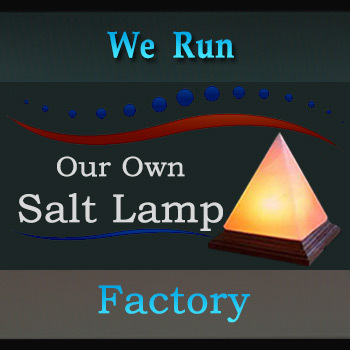 And that step moved me to establish a manufacturing unit where I bring my passion for salt lamps into an ideal craft work. Because I love creativity in crafting! Sooner, that manufacturing unit became a family business. But, everyone engaged in this business family works with passion. 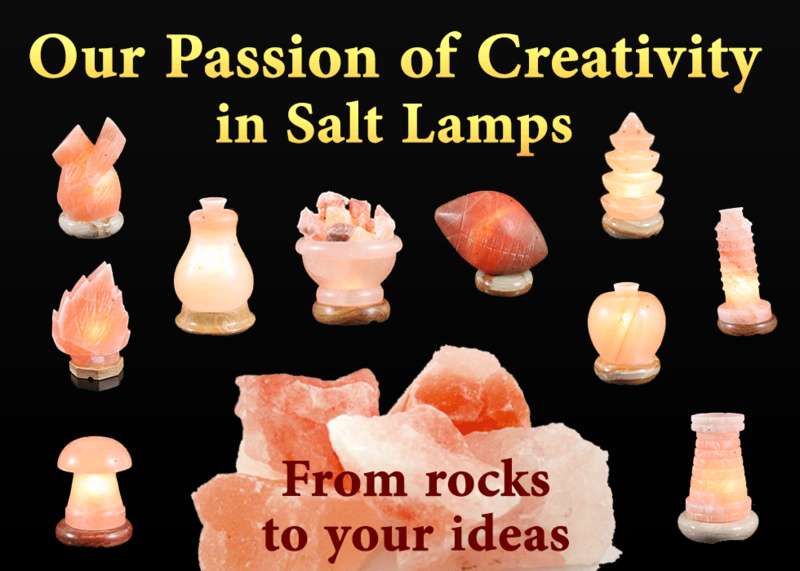 Today, with love and passion in salt lamps we are a distinguished manufacturer & exporter of Himalayan salt lamps and many other salt products. Our factory is located based just off the foothills of Himalayan salt mines located in the city of Quaidabad, Pakistan. And remember that Quaidabad is the world’s largest and busiest salt market! Do you know that a crafting business always needs a high level of skills in craftsmanship? Our craftsmen are working with a solid grasp of the tools and skills they need. This is another major part of our passion for salt lamps! And we know that the craftsmanship is nothing without the power of creativity. So, creativity has always been at the heart of our development in business. It has shaped our thinking and inspired our imaginations. We are comfortable with salt lamps and other Himalayan salt products because we are using the sophisticated lathe machines and handy tools. There are dozens of high-quality lathe machines, salt cutters, and handy tools are installed in our factory. Again, the lathe machines, cutters, and handy tools are not just enough but the skills to use them are more important, rather machines. This is again a part of our passion for salt lamps that pushed us to utilize the best machines and top skilled craftsmanship together. No Child Labor! Also a passion for salt lamps! We believe and practice in “No to child labor” and “Yes to quality education” for every child in the society. That’s why there is no single child in our staff, labor and/or even in our contractors. Any educated personality of today was a child of yesterday! So, every child of today must be a school-going child so that he/she can be a good personality for tomorrow. Don’t you think that this principle cannot be practiced without passion? Our one-of-a-kind craft & design experience helps you make a personal statement that mass-produced salt lamps can’t. We welcome your ideas and imagination! You sketch the idea we craft the idea. 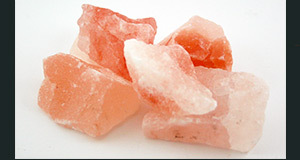 Just remember while imagining a design that the rocks of Himalayan salt are after all the rocks, just like stones. So, there are limitations by the material itself. The people achieve the greatest success in their professional and personal lives are the passionate people.